JamFactory supports and promotes outstanding design and craftsmanship through its widely acclaimed studios, galleries and shops. 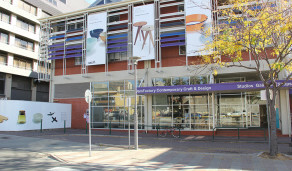 A unique not-for-profit organisation located in the Adelaide city centre and its regional facility at Seppeltsfield in the Barossa Valley (opening late 2013), JamFactory is supported by the South Australian Government and recognised nationally and internationally as a centre for excellence for craft and design. For 40 years JamFactory has been presenting outstanding exhibitions and public programs and nurturing the careers of talented artists, craftspeople and designers. CUSP will be presented across our two facilities JamFactory, Adelaide and JamFactory at Seppeltsfield. 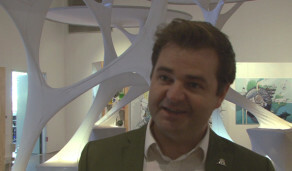 Architect and CEO of the Committee for Adelaide Tim Horton discusses what CUSP means to the Adelaide and South Australian region.